While all the talk the past few years has been about the astounding rebirth of the American whiskey category, producers of many of the world’s best- known imported whiskeys are similarly counting their lucky stars. In fact, most marketers no longer think of whiskey in terms of discrete national styles but rather as one giant category, with consumers shifting back and forth on a journey of discovery of the various qualities of the spirits (from wherever they are made). “We see that consumers aren’t following a traditional whiskey journey anymore, but instead they are experimenting among all the whiskeys – Scotch, Irish, American. They’re not category-loyal at all,” says Sona Bajaria, vice president, Glenlivet and high-end Irish Whiskey at Pernod Ricard USA. That mode of experimentation has opened the doors for distillers all over the world to find new ways to innovate and enhance core brands, with limited-time offerings as well as new line extensions that appeal to newcomers to the category and create broader brand understanding and interest. Recruiting new consumers to whiskey had been hard during the explosive flavored vodka years at the turn of the century, but now the action is found in whiskeys, and more innovation can be expected, especially as American consumers turn to premium spirits. The growth in bourbon and rye, and the fascination with small distiller wares, are fueling new interest in all whisky. While the sales numbers for the blended Scotch market haven’t soared like other categories lately, the premiumization trend that has rippled through all spirits has more than compensated. “It’s a very exciting time for Johnnie Walker as the brand is on the rise. In the U.S. in fiscal year 2017, Johnnie Walker net sales grew eight percent, with growth in Johnnie Walker Black Label and reserve variants driven by the successful ‘Keep Walking America’ platform,” Padmanabhan says. Cocktails and refocusing heritage brands is one way to build Dewar’s as well, says Gabriel Cardarella, Dewar’s North American Brand Ambassador. Dewar’s will soon debut one of its oldest blends, Dewar’s 25 Year Old, as part of its commitment to age statements across the premium range, Cardanella says. Made of more than 40 whiskeys aged at least 25 years, blended and then filled into specially selected oak casks to begin a six-month-long double-aging process, the whisky is then filled into a set of freshly disgorged casks from the Royal Brackla distillery. Along with Diageo’s Johnnie Walker Red and Black, stablemate Buchanan’s has been an emerging start in the past few years, especially with Hispanic consumers. Padmanabhan puts its popularity down to flavor profile in part. “In recent months, we’ve been seeing a rising trend in the use of smokier spirits, especially Scotch, and they’re being incorporated in a variety of specialty and craft cocktails. Buchanan’s smoky flavor profile makes it ideal for mixing cocktails with fresh seasonal ingredients, providing a big opportunity for the brand to capitalize on this trend,” he adds. Although an old brand, Buchanan’s also has benefited from being part of what Padmanabhan calls “energetic luxury,” as do spirits like super premium tequila and luxury vodkas. “That, combined with the brand’s positioning and marketing initiatives that target the new generation of U.S.-born Latinos who fluidly move between cultures, allowed us to continue to grow and stay relevant within the category as well as the spirits category overall,” he adds. 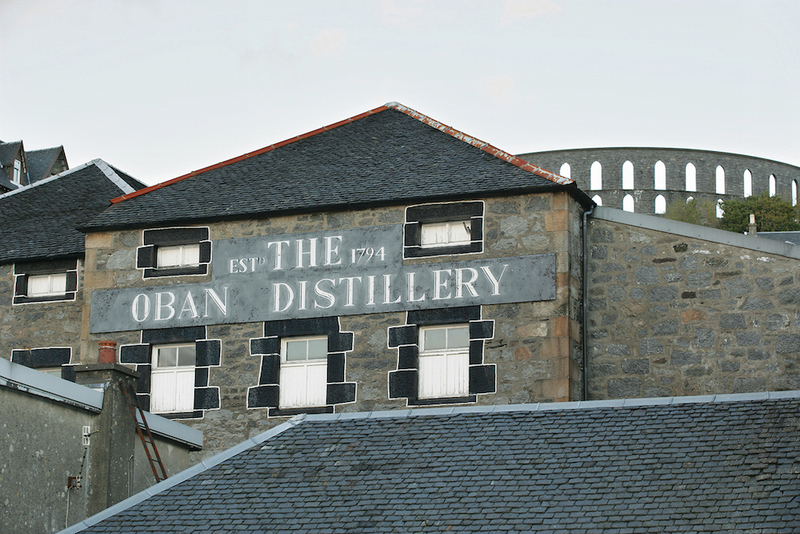 Innovation, non-age statements and even cocktails – ask a single malt Scotch marketer what’s driving growth there and that’s pretty much what you’ll hear. The growing brand Monkey Shoulder, a blended malt of three Speyside whiskeys, was built on its easy mixability. “We’ve encouraged people to play with things, as it’s designed very much with mixing in mind, challenging the convention that you can’t mix single malt Scotch,” Nash adds. Bajaria points out even the simple Highball, extremely popular with Japanese whiskey drinkers, is making an impact as a modern and approachable way to drink single malts. But as prices continue to rise, creating new extensions that are price-accessible for novices is key, which was the thinking behind the introduction of Glenlivet Founder’s Reserve. With Glenlivet the focus is reflecting the story of founder George Smith. This whiskey is one with great taste at an entry level price of between $29 and $39. In addition, Glenlivet decided more colorful packaging – in this case a Tiffany blue strip – was needed to stand out on the shelf and bring new drinkers (including women) to Glenlivet. Bajaria says age statements don’t absolutely guarantee quality, although Glenlivet will continue offering the line of 12-, 15-, 18-, 21- and 25-year-olds. It will also develop brands like Founder’s Reserve as the distillery innovates. Nash has a similar point of view. “We have a commitment to age statements on the core range; most consumers look for the age statement as a form of reassurance when they buy.” But Grant innovates while maintaining age statements generally, as in the recently released Glenfiddich 21-Year-Old Winter Storm finished in an ice wine cask, and the Balvenie 14-Year-Old Peat Week. There are exceptions, however – specifically the Balvenie Tun Series and the Glenfiddich IPA cask, both without age statements. For Dewar’s parent, Bacardi, new expressions coming up will include an Aberfeldy 16-Year-Old Oloroso Finish and Craigellachie 17-Year-Old, whose innovation is in its unchanging method – produced in old-fashioned worm tubs which leave more sulphur and “meaty” quality in the spirit than contemporary Scotch drinkers are accustomed to. Getting increased attention for both flavored iterations, as well as high rye expressions, Canadian whisky producers are finding new consumers at many levels of experience and interest. For category king Crown Royal, new products have expanded their reach, says Jim Ruane, Crown Royal Brand Director. “We’re incredibly bullish on the category, as Canadian whisky has experienced a recent surge in popularity alongside North American whiskey that continues to trend upward. We hear it from many of our retail partners as well – it’s not to the level of bourbon or rye just yet, but there’s a newfound level of enthusiasm for the whiskeys many of the distillers are putting out,” he says. 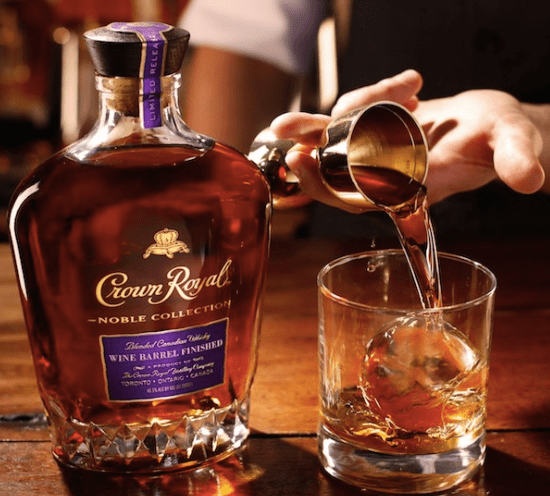 This spring Crown Royal launched a second limited expression in its Noble Collection: Crown Royal Wine Barrel Finished. For Crown Royal, a slew of new expressions have emerged over the past few years. This spring it launched a second limited expression in the Noble Collection: Crown Royal Wine Barrel Finished. Crown Royal Salted Caramel was available on a limited basis this winter following the 2016 summer seasonal LTO, Crown Royal Honey. Other innovations have also done well with whiskey enthusiasts. In April, Beam Suntory is launching Canadian Club Apple. “Overall, we’ve seen that category growth is largely within the premium segment and flavor innovations. Therefore, we believe there is an opportunity for Canadian Club Apple to provide a value segment flavor offering,” Erickson says. Flavors are driving roughly half of the category’s growth currently – Ruane says Crown Royal Regal Apple sells more than one million cases and Crown Royal Vanilla was the top-selling new spirit of 2016, for example. And he thinks many flavor drinkers often become interested in Crown Royal Deluxe. “We’re seeing an influx of new drinkers – men, women, millennials, 50+, black, white, Hispanic, new-to-whisky and experienced – who drink both flavored and straight whiskeys. It’s a really vibrant space that’s great for the category’s future,” he adds. Meanwhile, smaller brands like Pernod Ricard’s Lot 40 are building on the growing interest in higher-end and innovative Canadian products. “We’ve taken a different approach than the lighter, sweeter, more corn-based and flavored styles – as a 100-percent pot distilled rye whisky, the premium and connoisseur end is where we are focusing, and there are a lot of these beautiful whiskeys traditionally only found across the border,” says Gerard Graham, Lot 40 Business Leader for Pernod Ricard. In addition to the phenomenal growth in Irish distilleries coming on line – current projections indicate more than 30 distilleries are or will be open soon, up from a handful less than ten years ago – what’s helped to drive growth in the U.S. is the new world of cask finishes. Category king Jameson has worked with brewers. The Caskmates line sends barrels to beer makers to age their beers, and then finishes standard Jameson in those used to make stout and IPA – and in the Whiskey Makers Series, the Cooper’s Croze, which uses virgin American oak, seasoned bourbon and Iberian sherry barrels. Among the new brands is Slane, owned by Brown-Forman. Slane’s barrels come from the Brown-Forman Cooperage in Kentucky – both virgin oak and seasoned casks, as well as Oloroso sherry casks for its signature triple-casked process. Heather Howell, Brand Director, says the trend toward super premium and luxury spirits overall has helped the successful launch of Slane. 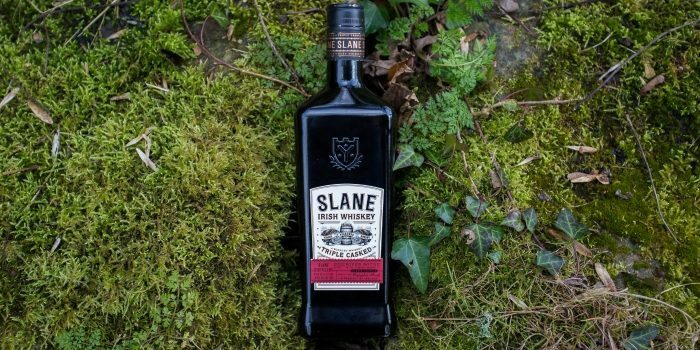 Among the new Irish whiskey brands is Slane, owned by Brown-Forman. Andy Nash of William Grant and Sons heads up Tullamore D.E.W., once a brand that like many others bought whiskey but that now has a fully operating distillery. As an example of that booming popularity, Tullamore’s Cider Cask finish, which had become a popular take home for traveling bartenders who discovered it at duty-free, sold out almost instantly. “It was a great launch and we plan to do more next year – innovations like that develop greater interest as they bring different flavors into the category,” Nash adds. The proliferation of brands promises to raise all boats as consumers get a broader brand selection to consider, with various tweaks and attributes. “Irish whiskey in the U.S. has historically been dominated by a few large brands, so there’s a lot of room for consumers to learn about the category and the nuances across the various types as they become more established here,” Erickson says. Driving awareness of Kilbeggan and Tyrconnell is critical, he says, especially the newer iterations, including two launched in 2017 – Tyrconnell 16 Year Old, the oldest general release for the Brand; and Kilbeggan Single Grain, aged in ex-bourbon barrels before being finished in a mix of fortified wine casks. More innovation is in the pipeline for 2018, he adds. As owners of Irish brands Redbreast, Powers, Green Spot, Yellow Spot and Midleton, Pernod-Ricard has the broadest range already in the market. Sona Bajaria, Vice President, Glenlivet and High End Irish Whiskey, oversees five expressions of single pot still Redbreast. It’s seeing double-digit growth, including with Lustau Edition Sherry Finish, a non-age-statement expression, and the recently introduced MidletonDair Ghaelach Bluebell Forest Edition. Jack Robertiello is the former editor of Cheers magazine and writes about beer, wine, spirits and all things liquid for numerous publications. More of his work can be found at jackrobertiello.com.